Have you ever had the feeling of travelling to a new place and, even though you didn’t know any of its culture, language, or customs, you felt like you could call it your new home? Zanzibar was one of those places for me. I was rushing to end my breakfast at a basic but friendly guesthouse in Stone Town when Juma, my local guide, picked me up for my “Best. Day. Ever.” I knew I’d get to know more about the island and its natural environment, as well as the food, art, and local communities, but I never expected to live this unforgettable journey in such a short time. We took a short drive past coconut trees, a tropical breeze in the air, and made our first stop at Mananga, a spice farm that grows much more than just spices. I smelled cinnamon freshly cut from its tree bark, drank water from a coconut picked straight from the tree, and even put on some “lipstick” of bixa orellana seeds — famous for their colourful red pigment. Nearby, a teen boy was making some incredible hair accessories from the stem of a manioc tree and hibiscus flowers. Meanwhile, I was walking through a maze of jackfruits, almonds, lime, ginger, cane sugar, peppers, henna, lemongrass, nutmeg, cardamom… I was in heaven and I now understand why the locals in Zanzibar are so proud of their unique ecosystem that produces so much. Our next stop was at the village of Kijishi, where I learned traditional methods of cooking and gardening, from growing manioc to grinding na tuanga and kisu to make a delicious dish of greens with fresh coconut and garlic. While we experienced a few language barriers with the women there, eyes never lie and once I put my hands in fresh soil and exchanged a few laughs while mashing those greens with a huge mortar, another kind of communication was put in place. I also discovered traditional techniques to create textiles like kikoi or the famous batik using wax to create designs — so many colours and textures, made only with natural pigments. After a short drive through Mwera, we stopped at a koan (wood workshop), where I got the chance to see how the massive, Indian-style carved doors, typical of Stone Town’s narrow streets, are made. Here, men work as a collective being, dedicated to a specific task depending on their skills. 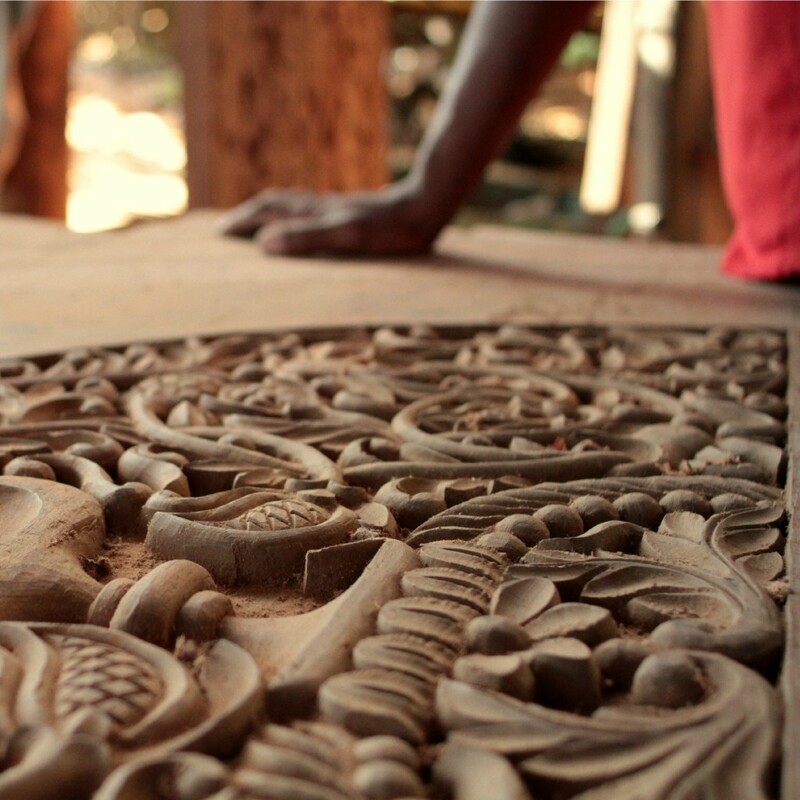 I could have spent entire days learning from them, carving flowers and ornaments, in admiration of these simple pieces of wood that will become, after lots of meticulous work, a masterpiece of art. It was then that I decided to stay a while on the east coast of the island, away from the all-inclusive resorts and tourist trap vendors, doing not much more than napping in a hammock at the guesthouse, eating fresh fish, and watching locals play football on the beach. Want to recreate this Zanzibar experience for yourself? Let us show you around! Sales and Reservations Specialist @ Intrepid Travel. Photographer, dancer, chocolate aficionada, and world music lover. Hi Maliss! Great to hear from you. The best way for you to get in touch with me will be to email me. For security reasons, I will not leave my email in my comment but Tiffany had my email if you would like to check with her.